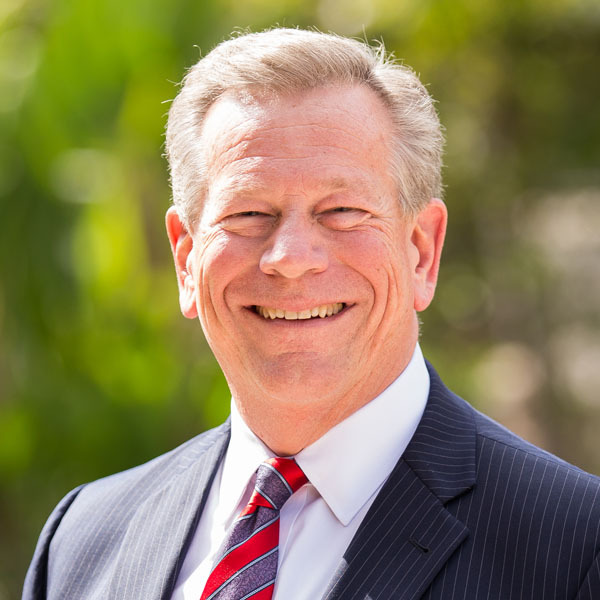 Tom Wilson comes to Biola University with over 35 years of experience as a trial attorney, during which time he has handled major cases on behalf of the business community in the fields of securities fraud, director and officer claims, product design, healthcare and railroad law. During his career, he has been honored as one of The Ten Most Dependable™ Litigation Attorneys in California as published in Forbes Magazine (2008), and a Super Lawyer of Southern California as published in the New York Times and Los Angeles Magazine (2007). In 2008, he was selected by his peers as one of the top five percent of attorneys in the United States specializing in business litigation, as published in Super Lawyers, Corporate Counsel Edition. He is the author of several articles on various legal issues facing the business community, and several of the appellate court cases in which he has participated have resulted in published opinions in California. Tom has been married to his wife, Nancy, for over 40 years. They have two children and three grandchildren.